I’m going to come right out and state the obvious truth: Homemade Protein Granola Bars are AMAZING. Seriously, AMAZING! Food perfection. 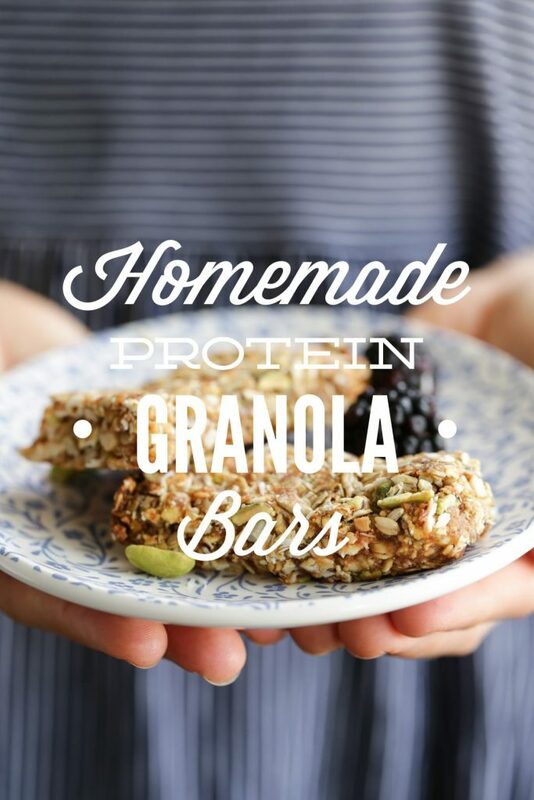 These bars are soft and chewy just like a granola bar should be, and as the name implies, they’re packed with protein. 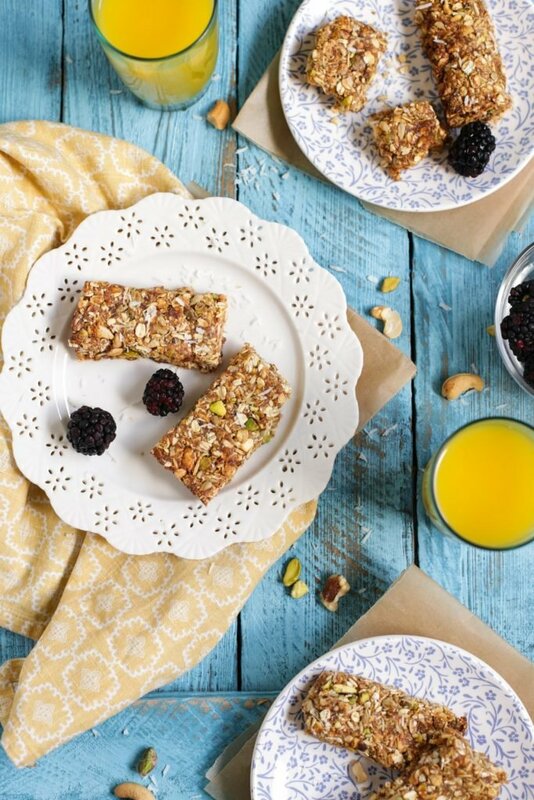 In other words, this granola bar is the breakfast or snack of every real foodie’s dreams. Wait! I’m not the only one who dreams about granola bars, right? Piper started soccer a few weeks ago which means early mornings, quick breakfasts, and lots of snacks. If your kids have ever played a team sport, then I’m sure you can relate. I don’t want to sound judgmental in anyway, but the snacks offered to the hard-working soccer players are not exactly ideal, in my humble opinion. Hard physical work requires nutrients, and bags of processed snacks just aren’t going to help fuel little bodies. I knew before we started soccer that snacks might be an issue, so I decided to get to work in my test kitchen. While fruit was definitely on the Saturday morning post-soccer menu, I knew something that mimicked processed snacks without the empty fake ingredients was needed to win over a whole soccer team. The answer? Homemade granola bars! 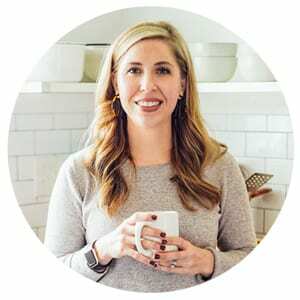 A couple of years ago, Candice shared a delicious recipe for no-bake granola bars here on Live Simply. The no-bake bars are perfect for a sweet dessert-like snack, but they don’t hold up very well for travel, let alone a hot soccer field. 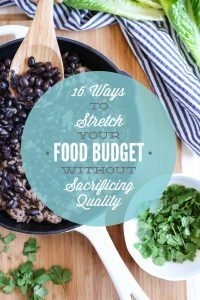 While I love her recipe, it simply wouldn’t work for soccer. I decided a naturally-sweet baked recipe was the best choice. A bar that can handle the heat and fill hungry little bellies. After a couple of kitchen experiments Homemade Protein Granola Bars were created. Brace yourself, my friend, they’re amazing. Seriously, so good. Chewy and slightly crunchy. Sweet and salty. Perfection. We’ve already been over this, so I’ll move on. I know you’re hungry. 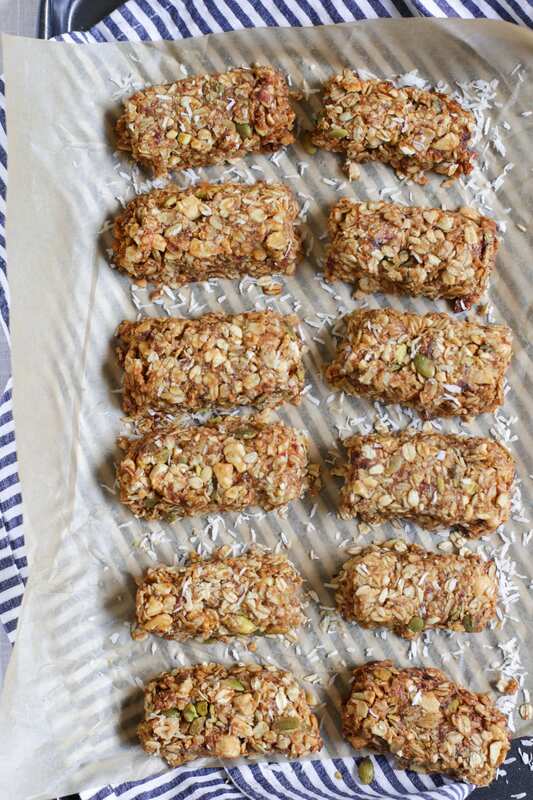 There are a few steps required to make homemade granola bars, but the good news is this recipe makes twelve hearty bars so your time is well-spent. I like to freeze half the bars so they stay fresh and keep the other half on the counter. Enough chatting, Kristin, let’s get right to the chewy perfection. 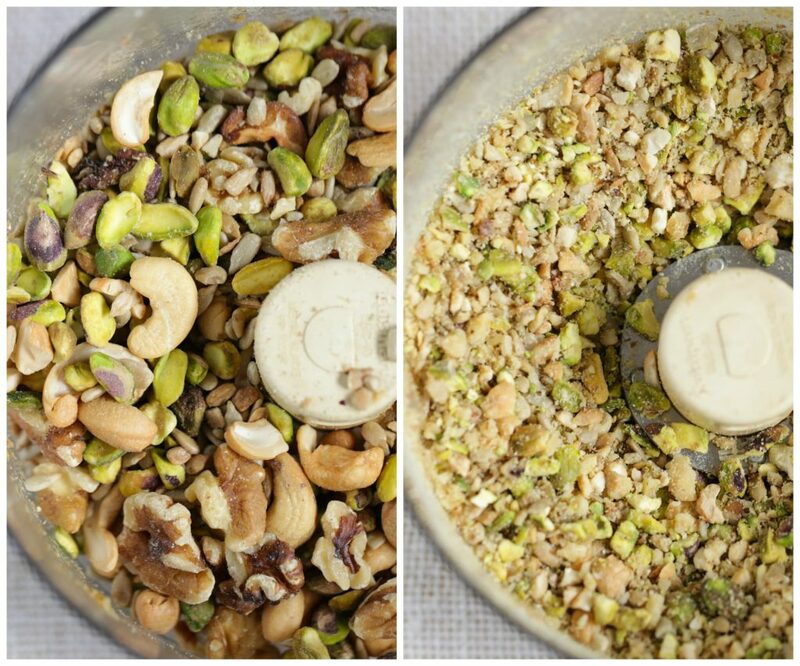 2 cups unsalted nuts and/or seeds-any combo will work: pistachios, walnuts, cashews, almonds, sunflower seeds, pumpkin seeds, etc. Preheat the oven to 350F. Line a 13X9 pan with parchment paper. It's important that there's extra parchment paper on each side of the pan so the granola bars are easy to lift out of the pan after baking. Process the dates in the bowl of a food processor for 40-50 seconds. The chopped date pieces should stick together. In a medium saucepan, over medium heat, melt the peanut butter into the honey. Add the dates from the food processor, stirring until the heat breaks down the dates, and the mixture is thick and spreadable. Remove the pan from the heat and add the vanilla extract. Set aside. Return the bowl to the food processor. Process the 2 cups of nuts/seeds into small chunks. 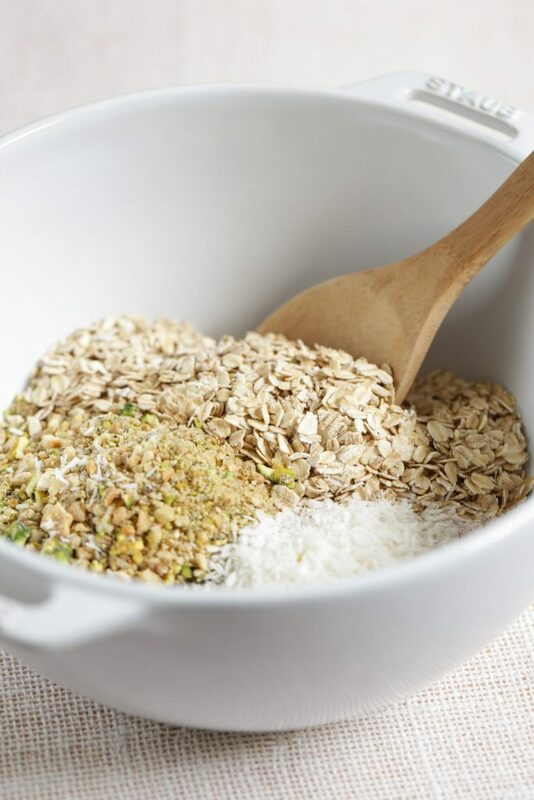 In a large bowl, combine the dry ingredients: chopped nuts/seeds from the food processor, oats, salt, and shredded coconut. Stir the date/honey mixture into the dry ingredients. You may need to use your hands to make sure the dry ingredients are completely covered with the sticky date mixture. Pour the mixture into the parchment-lined baking dish. Press the mixture into the pan. Bake for 30 minutes, until the granola is golden and the sides begin to slightly brown (not burn!). 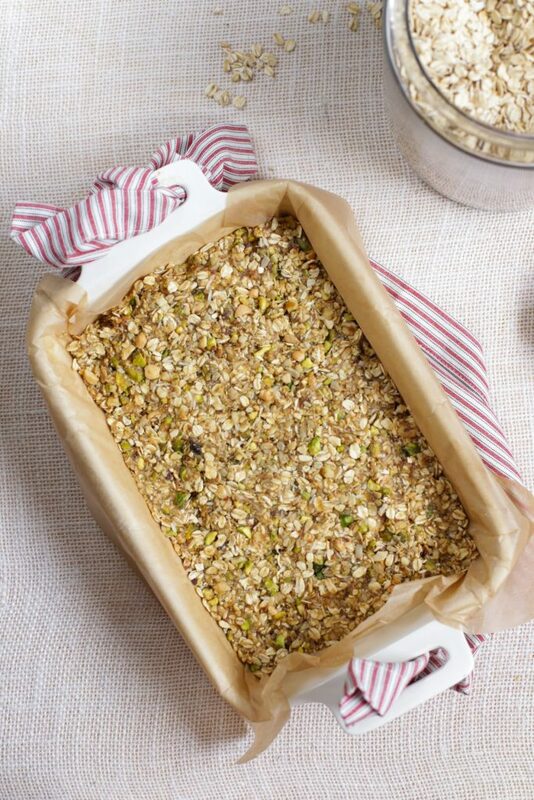 Remove the granola from the oven and lift the parchment (with the granola inside) out of the pan to cool. 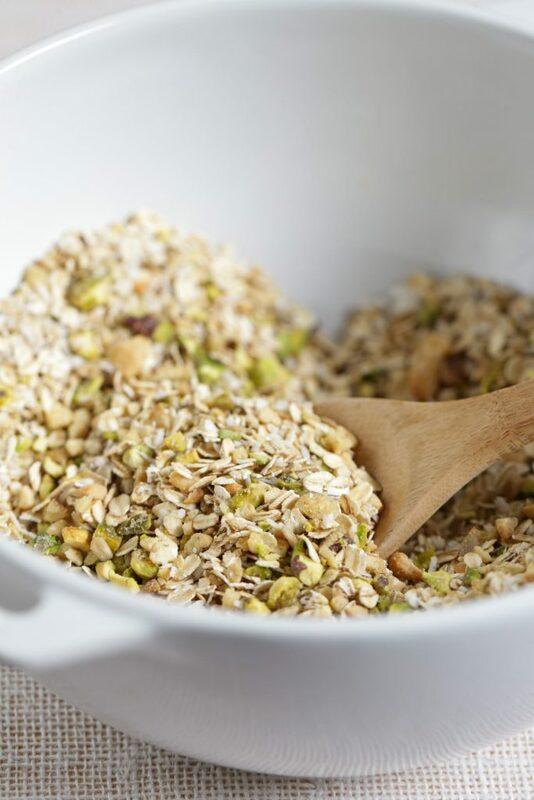 Allow the granola to cool for 10 minutes, then slice the granola into 12 bars with a sharp knife or pizza cutter. It's important to slice the bars when the granola is warm. If any of the granola falls apart, simply shape the bars back together. Once cool, enjoy the bars or store in the freezer or on the counter (in a sealed container) for later. *If the dates are dry, soak them in water for 30 minutes before processing. Moist, “fresh” dates work best in this recipe. I have not bought dates before and don’t have any on hand currently. Can I substitute dried apricots or would the texture/flavor not work for this recipe? Thanks, I look forward to trying this recipe soon either way! 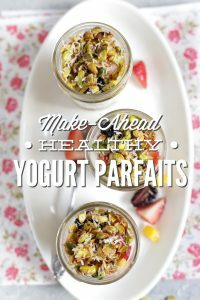 I am in need of healthy snacks for our children! 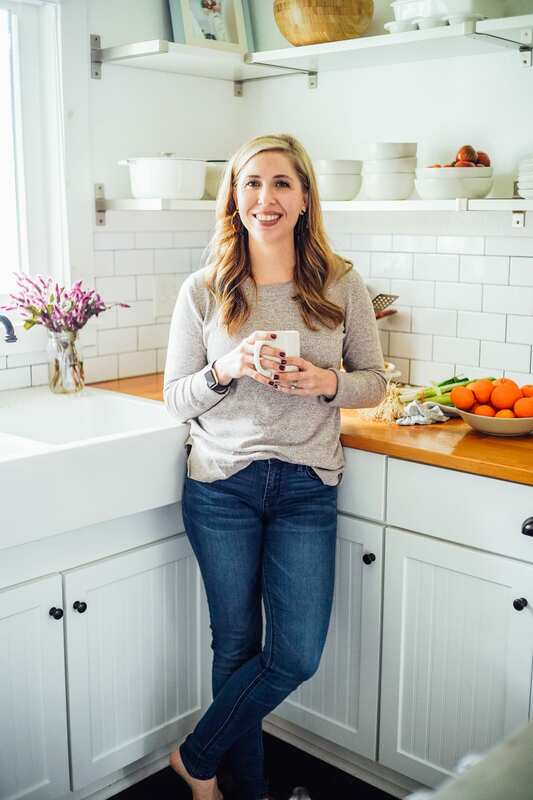 Hey Brooke, I’ve never tried using dried apricots. They may work; however, I’m not sure how they will break down with the honey and nut butter. 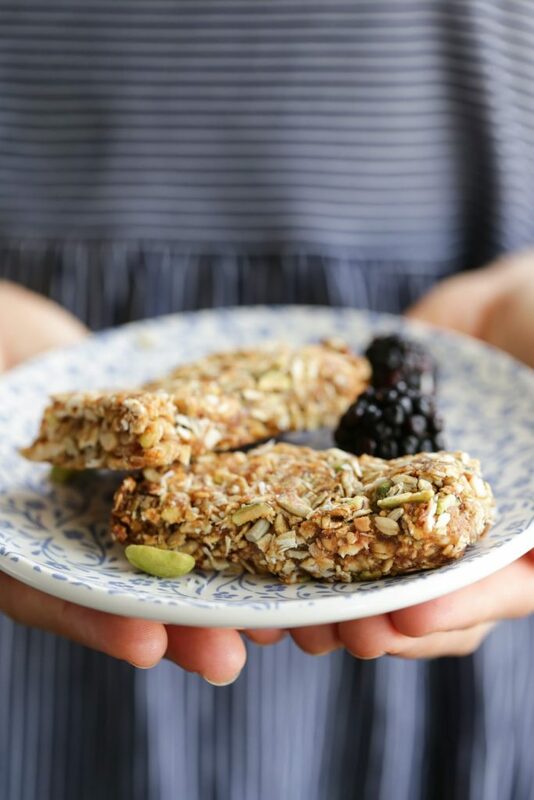 Dates also add a sweet taste to these granola bars. Most grocery stores should sell them in the produce department. I’ve used both dates and apricots (dried), not for this recipe but for other similar recipes, and they should work OK. I’d suggest adding a few additional apricots because dates are pretty darned moist. This looks like a fab recipe – thanks!! Awesome, Jennie! Thank you so much for sharing! Enjoy the granola bars :). These are delightfully chewy, filling, and mildly sweet. I think I will try almond extract next time instead of vanilla, and see if it brings out the flavor of all the nuts a little more. 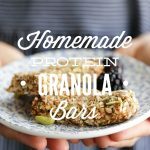 This is the best granola bar I’ve tried making yet! Thanks! Hey Bethany, I’m so glad you loved the granola bars! Almond extract would be excellent…great idea!! Love, LOVE these! 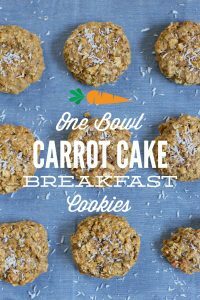 I have made them a couple of times now and they are now my favourite healthy snack. I had to watch mine as both times they were done baking at about 15mins. I’ve been looking for something like this for a long time, so thank you!! That’s awesome, Michelle! I’m so glad you’re enjoying the bars!